As we head into the craziest holiday shopping weekend of the year, we wanted to give the Droid Life community a chance to start things off with a bang, a melodic bang. The folks at SONOS are running a holiday promotion this year that involves a Wireless HiFi Bundle for $299. The bundle includes a PLAY:3 speaker and Bridge. It’s like the ultimate starter kit for anyone who has been needing a reason to turn their house into a wireless musical haven. The bundle will be available at Target, Best Buy, Amazon and Sonos.com. Not familiar with SONOS? We actually reviewed a SONOS system a couple of years ago and loved every minute of it. In fact, since that review, I’ve purchased multiple SONOS products to help round out my house’s wireless HiFi system. The idea is simple – beautifully designed speakers that put out incredible sound, yet are easily manageable over your home wireless network. The PLAY:3 is the smaller of the speakers that SONOS offers, but that doesn’t mean it won’t pack a punch. The Bridge is the device that connects everything from your phone to your speaker to your other speaker. And speaking of phones (tablets too), SONOS has one of the better Android apps you’ll find anywhere for controlling it all. Beyond your home music collection, SONOS has tie-ins with Pandora, Spotify, Rhapsody, Last.fm, iHeartRadio and more. They claim that you can “listen to all the music in the world” through SONOS, and they may be right. So, who wants to win a bundle? Update: We have our winner and they have been emailed. Thanks to everyone who entered! 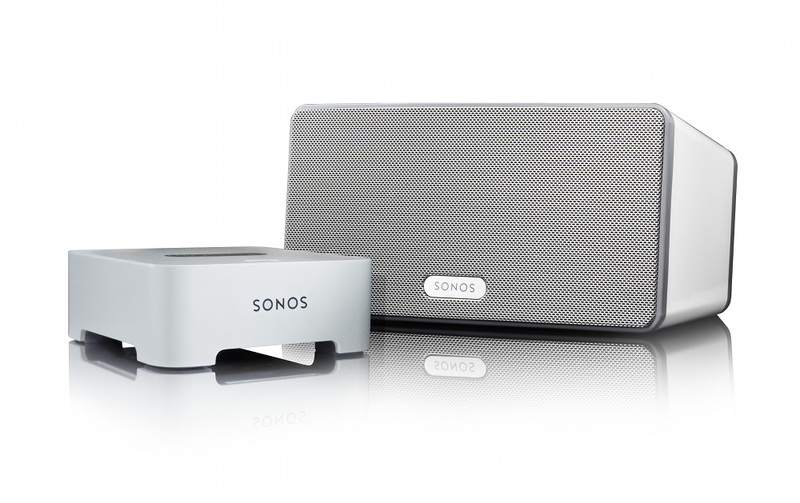 Prize: 1 (one) SONOS Wireless Bundle which includes a PLAY:3 and BRIDGE. 1. Follow @droid_life and @Sonos on Twitter. 2. In the comments, list out your top 5 albums of all time. A winner will be randomly chosen on Wednesday, November 21, at 12:00PM Pacific.